Drains will eventually clog. Andrews Plumbing has the knowledge and equipment to clear drains quickly! We offer snake or auger cleaning, camera inspection to see what is clogging the drain and water jetting. Water jetting uses a high pressure water stream to clear difficult clogs like mineral content, grease, and tree roots. Clogs caused by grease and sludge can be removed with hot water jetting. Drains and sewer lines can become clogged with tree roots, grease, and ordinary use. Call us to get waste water flowing away from your home. 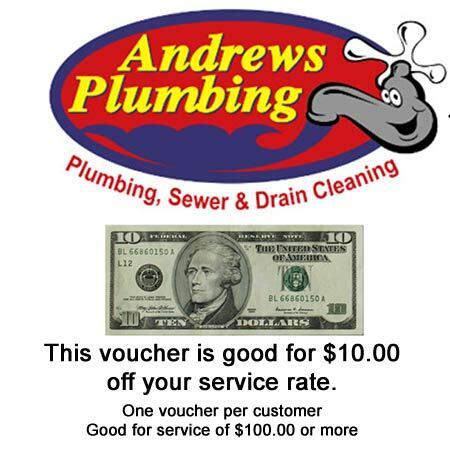 Print this coupon for $10.00 off your service rate, or show it to us from your phone or tablet! 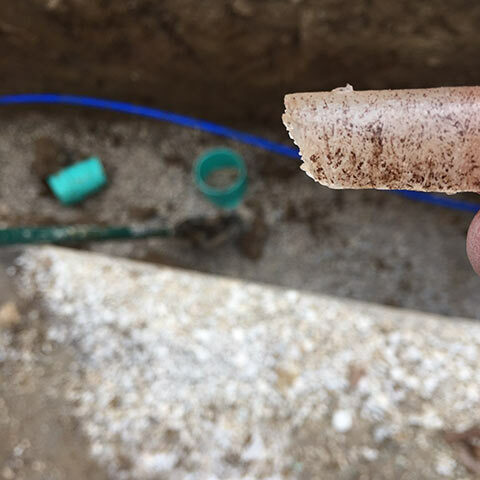 Your exterior water and sewer lines can freeze in the winter. 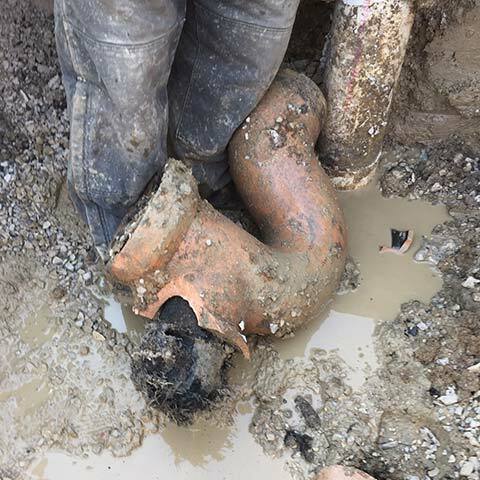 Andrews Plumbing offers Hot Water Jetting services to unclog those lines quickly!